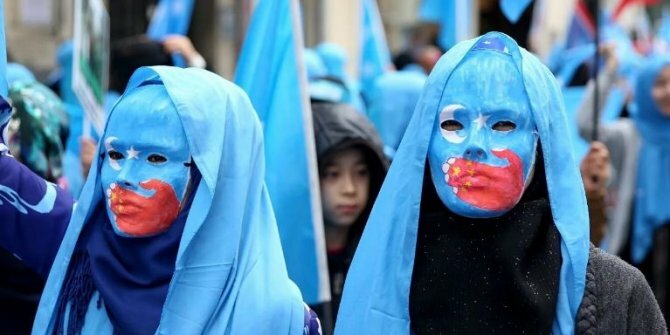 News of persecution faced by millions of Chinese Uighur Muslims seized headlines last year when a United Nations commission heard that as many as two million had been interned in “re-education” camps in the Xinjiang Province in western China. Human rights groups said the camps’ inmates were being forced to renounce their faith and swear loyalty to the Chinese Communist Party, and former prisoners from the camps reported they had been tortured. At particular risk were Uighurs with contacts in foreign countries, Human Rights Watch said, adding that people with relatives in “sensitive” countries including Turkey had been rounded up, and that anyone who had been in contact with people abroad via WhatsApp was targeted. It was a situation that brought James Palmer, the Asia editor of Foreign Policy magazine, to tears during an interview last October. ATV’s Erdal Kuruçay was one of a delegation of journalists the Chinese government brought to Xinjiang from Turkey, Egypt, Afghanistan, Pakistan, Sri Lanka and Bangladesh – six countries on the route of China’s Belt and Road Initiative, a massive project to develop infrastructure in Asia, Africa and Europe. The delegation was taken to a school, where they reportedly found Uighurs, under no duress, being taught China’s official language of Mandarin as well as other vocational courses. The images from the meeting show people in traditional outfits performing a music and dance routine for the members of the delegation. Kuruçay appeared convinced by China’s official line, publishing on social media a series of posts detailing his favourable impressions after the trip. “When we went (our) prejudices were shattered. Because we read the Western media, and we act and take a stance according to the Western media, but we saw what a mistake we were making,” Kuruçay said. The reporter went on to explain that he had seen a re-education centre on the trip, but that it had been a “therapy centre” for criminals. “People make mistakes, but realising their mistakes and turning away from them is a virtue,” Kuruçay said. “They receive education both in artistic activities and in many other fields,” he said. The Chinese government says the “re-education” programme has been designed to combat separatist and “violent terrorist criminal activities.” Once a vocal supporter of the rights of China’s approximately 11 million Uighurs, Turkish President Recep Tayyip Erdoğan has remained silent on their plight in recent months, and Vice President Fuat Oktay pledged Turkey’s support against groups deemed by Beijing to be terrorist groups when he met with a Chinese envoy last September. Though the reports from Xinjiang have sparked outrage around the world, Erdoğan has so far been matched in his silence by other leaders of Muslim countries. A lawmaker from Turkey’s pro-minority Peoples’ Democratic Party (HDP) gained support of opposition parties for a proposal to launch a research commission into the Uighur situation, but the motion failed as the ruling Justice and Development Party (AKP) voted against it and its allies in the far-right Nationalist Movement Party (MHP) abstained. Ankara’s silence on the matter may well be born of pragmatism – Turkey’s economy has faced an extremely difficult 12 months, and foreign investment, including $3.6 billion promised by a Chinese bank last year, is vital to keep the economy afloat.